This town was previously called Xelajú by the Mayan people who lived there before the Spanish Conquistadors arrived and conquered the city in the 1520s. Disclaimer: The provided information may or may not be 100% accurate. It is a collection of information, sourced from the websites of Zacapa, Industrias Licoreras Guatemala and other sources at the time of writing. In 1939 Industria Licorera Quetzalteca, S.A. was founded and it began producing rum but it was not until 1976 at the town of Zacapa in Guatemala when Ron Zacapa first emerged from its cocoon at a festival commemorating the 100th anniversary of the founding of the town of Zacapa in 1876, which gave the rum its name as a celebration. The Zacapa rum range comprises of Zacapa Centenario 15, Zacapa Centenario 23, Zacapa Centenario 23 Cask Strength, Zacapa 23 Etiqueta Negra, Zacapa Centenario XO and the new Zacapa Centenario 30 Aniversario. Ron Zacapa Centenario 23 is produced from the sweetest crushed virgin sugar cane honey and pure spring water collected from the ancient mountains of Quetzaltenango and matured using the Solera aging process. Though as Edward Hamilton of the Ministry of Rum points out, managing and executing a Solera system which involves moving, emptying and refilling a couple of hundred thousand barrels of rum which have been stacked on pallets is at least a daunting task. At most distilleries only a small part of the production is actually aged in this manner. The rum is distilled at sea level in continuous column stills but the maturation of the produced rum takes place high in the mountains where the cooler temperatures and the height restrict evaporation or 'angel's share' during maturation which happens in barrels previously used for aging Bourbons, Sherries and Pedro Ximénez wines. After the maturation in these barrels the rums are put into large 20,000 litre American white oak casks for 1 more year and then finally bottled. 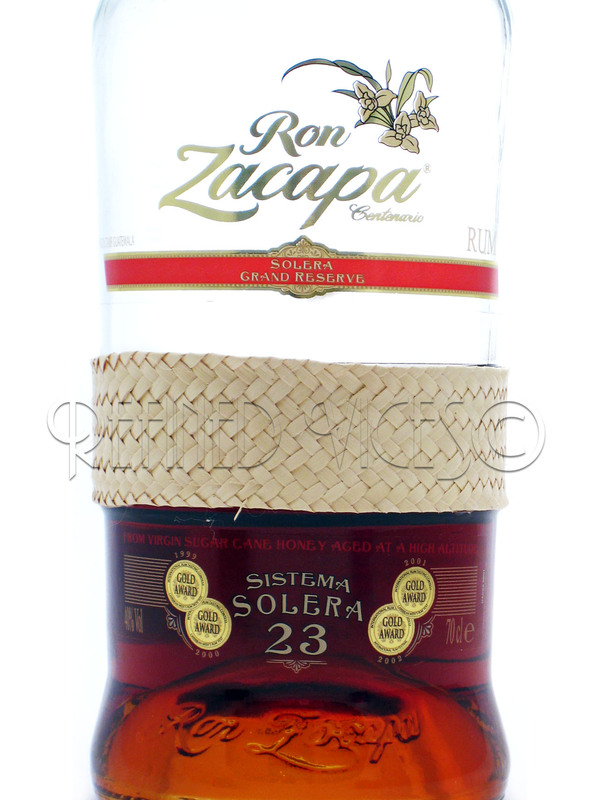 Rums between 6 and 23 years old are used in the blend of Ron Zacapa Centenario 23. 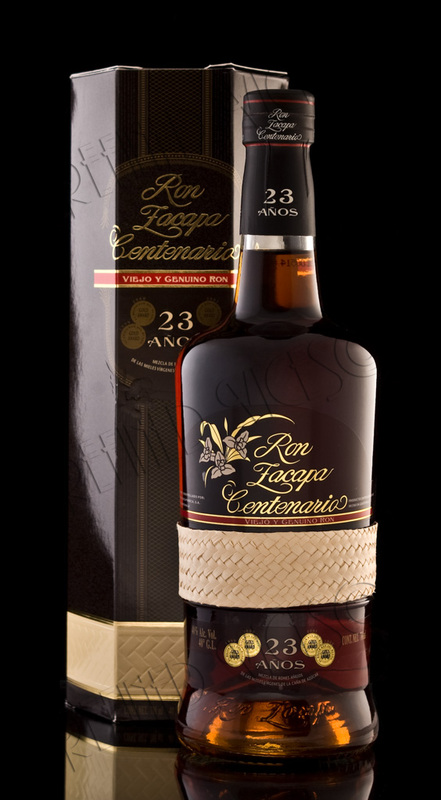 It should be noted that Ron Zacapa Centenario 23 was previously known as Ron Zacapa Centenario 23 Años which resulted in some confusion of several rum enthusiasts who erroneously called it a 23 year old rum which it infact, is not, despite the confusing labelling. The new labelling does not have the word "años" anymore which I hope should clear any future confusion. Over here I've attached a couple of pictures of the new box and labelling for comparison. It has also been noted that the blend of Zacapa has been subtly changing over the years due to Zacapa’s incapability of maintaining high enough stocks of their older rums to answer the constantly rising demand of the product all over the world. Though according to Zacapa there have been no changes at all in Zacapa's formulation. Some concern over the changing blend has been expressed in the rum community which is why in this rum review I will compare the older bottling of Ron Zacapa Centenario 23 Años and the newer bottling of Centenario 23 noting down any differences in quality. I also have a drop of even older Zacapa 23 Años which is probably now heavily oxidised, so out of pure experimental joy I will also note down any changes between fresh and oxidised rum. The packaging of Ron Zacapa Centenario has changed a few times since its introduction in 1976 - The bottle was originally wrapped entirely in royal palm leaf hand woven by Guatemalan artisans - the bottle has taken a somewhat different shape and the wrapping is gone, though there is still a hand woven palm leaf band around it's waist. 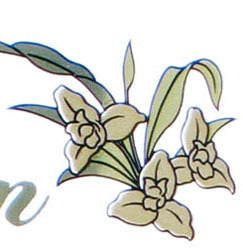 The bands are producuced by the women of the Chorti community, located in the northeastern Guatemalan township of Jocotán. This new type of bottle was previously packaged in a hexagonal grey box (see picture at the beginning of the rum review) but this year the presentation took yet another turn, albeit a minor one, and changed the hexagonal box to a square box with plenty of text advertising "Sistema de Solera" and the production methodology. The use of the palm leaf weave is a reference to the preclassical Mayan era in 1,400 B.C., during which only kings were entitled to use it. This woven palm leaf is known as a petate that were first made as floor-mats for Mayan kings. It was believed that sitting on a "petate" changes your whole view of the world and forces you to look at life with humility and to see things for what they are. In my opinion the use of this royal palm leaf weave is quite apt since Ron Zacapa is widely considered the world's best rum or the king of rums. The bottle is as dark and inviting as the Nubian princess I once had the pleasure to get acquainted with and the label is decorated with illustrations of the Guatemalan national flower: the White Nun Orchid (Lycaste Skinneri or Lycaste Virginalis). Another nice touch is the raised lettering on the punt of the bottle that is visible when the light goes through the bottom. But I digress, time to get down to business - Any website that reviews rum should not lack a rum review of the famed Ron Zacapa Centenario 23 that I've somehow been able to hold off reviewing for an entire year. It is about damned time I wrote this rum review. Time to come out of the cocoon! The rum pours with a rather remarkable dark mahogany colour with fiery reddish hues and golden sparkle and forms thick slowly moving alcoholic residue to the walls of the glass. Zacapa’s initial aroma is quite smooth and honeyed with caramel and fruitiness reminiscent of a cognac. A dash of water opens the rum up bringing out notes of liquorice and oak. The first sip is quite surprising as I didn’t recall Zacapa 23 Años being this sweet – it crawls in my mouth with remarkable thickness and sweetness. This rum is quite smooth and mouth warming and through the overpowering sweetness I can detect some oak, vanilla, dried fruits and some liquorice. It is not at all as flavourful as one would expect from such highly praised rum and it is quite difficult to discover any particular flavours in it. Interestingly when I let the rum sit on the desk for a while the sweetness was not as evident anymore and the rum in general became more palatable as well as the flavours becoming little clearer this time. The finish is long and sweet with vanilla, coffee, smoke and honey and it has the tiniest amount of marzipan creeping up to the palate. Though the nose reminds me of cognac the taste is unduly sweet and reminds me more of a sweet liqueur rather than a finely aged sophisticated spirit. It is definitely not bad rum but just a tad too sweet and somewhat inadequate, certainly not the Zacapa I remember drinking in the past (perhaps this bottle contains the new blend people have been expressing concern about). In conclusion if you believe all the hype surrounding this product you will be disappointed regardless of whether you have a tendency towards sweeter liquors. While it might be inappropriate to say Ron Zacapa Centenario 23 should be stripped from its royal palm leaf, because only kings are entitled to wear it, I certainly don’t see this rum as the king of rums as it is so gloriously advertised. Special thanks to Edward Hamilton for providing extra information. This is the end of the main rum review. 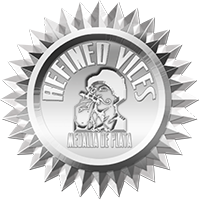 Read the other two reviews below or scroll down for links to related and exclusive articles of Ron Zacapa on Refined Vices. 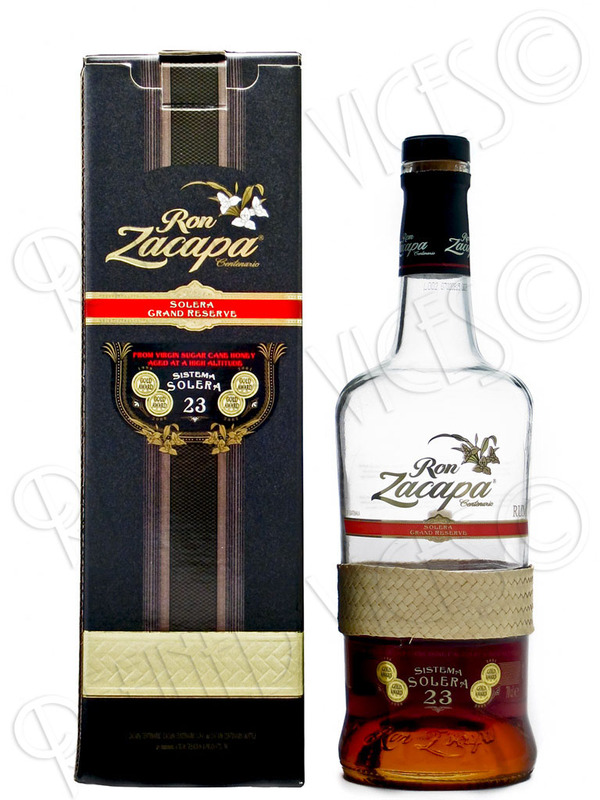 Below is the comparison of the Zacapa 23 that comes in a new square box and slightly different label. The appearance of the rum inside the latest bottle has no difference that I can tell when compared against the 23 Años (reviewed above). To the nose it seems slightly more alcoholic and somewhat less sweet but it still has honey and liquorice aromas. Though this bottling seems less sweet it is still quite sugary but the oak seems more prominent in this one. There seems to be no significant difference between the aftertastes of this rum and the 23 Años reviewed above. Same thoughts as noted in the tasting notes above. Probably the same blend as the differences were not significant. This is my second experimentation with spirit oxidation, my first one was with Jameson Irish Whiskey.Oxidation is a chemical reaction which occurs when the spirit gets in contact with air usually resulting in alcohol evaporation and mellowing of aromas and flavours. Depending on the time and how much air the spirit is exposed to during that time, the changes can vary from very slight to a significant loss of alcohol and flavour. Generally an opened bottle with a lot of content will not change much after you close it. A glass of spirit placed on the table in the evening will have lost its alcohol content by the time morning comes. The appearance of the older oxidised 23 Años is a lot lighter, closer to amber in colour and the legs do not seem as viscous as in the newer two Zacapas. The colour of the rum could be lighter due to it being exposed to sun light over time. The nose is mellower and dryer with a lot less fruit in it. Oak, vanilla and honey are present as well as caramel. This rum tastes almost entirely different when compared to the other two Zacapas. It is significantly less sweet and the flavours seem to come out a lot easier when they are unobstructed by the cloying sweetness present in the newer rums. Oak is the first flavour to push out followed by vanilla, prune and candied cherry. A breeze of coffee is followed by the swallowing of the nectar. Dry oak and soft vanilla are very pronounced in the sweet long lasting aftertaste of this bottling and even the delicate hints of marzipan come out clearer and are longer lasting in the palate with the new addition of butter and candied cherry. I prefer this bottling of Ron Zacapa Centenario 23 Años to the newer Centenario 23 Años and Centenario 23; it is not as sweet and seems more refined, perhaps due to the oxidation or maybe it is an older blend. Regardless of it being better it still does not live up to the hype surrounding the Centenario 23 rum. Disclaimer: As of 2012-2015 it has been proven by the hydrometer method and professional government laboratory tests that several rum producers add something to their products to "enhance" the flavour and mouth feel. That something is affecting the measured density and is generally sugar and extracts. In Zacapas case it is not clear whether the sweetness is derived from direct addition of sugar, leftover Sherry or something else. The measured glycerol also affects the mouth feel significantly. 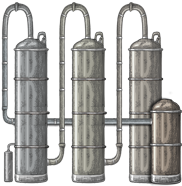 The measured density, glycerol and other additive amounts may vary between older and newer bottlings as shown by ALKO, Systembolaget and hydrometer tests. How do you feel about older and newer bottlings of Ron Zacapa Centenario rum? Tell us your opinion in the forums.